When is AppRadio 2 coming? The rumored March 15, 2012 launch date for AppRadio 2 has come and gone. But there is still no sign of AppRadio 2 in the US. 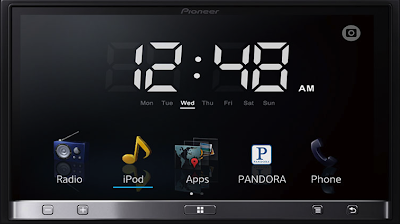 However, Pioneer has beefed up information about AppRadio 2 on it's YouTube channel over the last week suggesting an impending release date. Pioneer's website still suggests a Spring 2012 availability of the product which means starting March 20, 2012, the second generation device may become available at any time. I tried to get information from my sources but no one knows for sure when that's going to happen. The sales guys at Best Buy are still recommending the original AppRadio and have no idea about AppRadio 2. I had my doubts about the March 15 date because Apple's new iPad launches on March 16. Surely, Pioneer knows better than to try and rain on Apple's parade. My latest guess is AppRadio 2 becomes available sometime before March ends. Hey, it doesn't cost a penny to speculate. Stay tuned for the latest. Anyone know when the unit is going to be available. I am interested in purchasing but tired of waiting.